August is the month when France closes up shop. The streets of cities are bare and even the countryside seems quieter with the warmer weather which sends the small birds for shelter under the forest canopy to protect their soft plumage from the scorching sun and the insects to nest and hide from the same. The countryside is calm and quiet with the odd buzzing bee or dragonfly who love to take the shortcut through the house to the back garden. Vegetables are in abundance and I have been scratching my head trying to figure out which of the many marvels I will announce here. The decision, of course, is aesthetic and is sweet corn. First of all, most people who know me, know that one of my biggest nemesis is the corn plant. 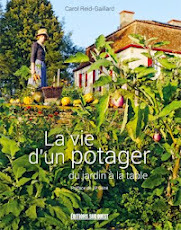 In the south west of France, its like all the lights went out in the farmers' brains and they woke up one morning with a single thought and image in their grey cells that said yellow-hybrid-cob-field-everywhere and that was it. The green revolution had arrived! Luckily we don't have the plains of the american mid-west surrounding us, but the fields are big and abundant enough to make sure this monotonous and leggy cereal blocks all views to the river, hills and sometimes even the clouds. One reason I live in the countryside is because of a chronic feeling of claustrophobia I get in the city but sometimes in August here, small back roads are just as distressing. 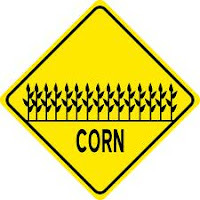 Corn covers the land and makes lazy farmers lots of money, children very fat and offers absolutely little in terms of nutrients or goodness. Its just cheap and easy to plant in the ground with a few tons of chemical fertiliser, a spray or ten of pesticides and bobs your uncle - the cereal farmers are off to sit on the beach for the rest of the summer months. I wouldn't even feed my chickens this junk as cows supposedly nourished on corn pass wind enough to threathen our whole planet and climate and I don't want my chickens doing the same..... Anyway I'm sure I've plenty more to say on this subject at maize harvest time. And back to sweet corn which takes pride in my garden. I grow Texas Honey, Martian Purple and Black Mexican but unhelpfully they all seem to ripen in the same week so we are currently making up for the lack of corn syrup in our diet and catching up on lots of carbohydrate meals. Sweet corn is not France's most popular food as there seems to be little you can do with it apart from boiling, barbequeing and chutney. 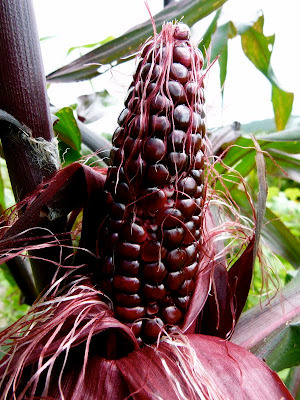 It also seems its one of the few vegetables that you have to grow in your garden, as sweet corn starts converting it sugar into starch immediately after its picked. Of course modern sugar enhanced hybrids do no such thing and can last weeks in the fridge but I happen to have some fine, fragile and finicky varieties who deserve careful handling. If its not in the garden, it needs to bought locally and eaten almost straight away. The silk peeping out at the top need to be almost sticky looking and the cob firm and plump and the kernels, shiny and healthy. A worm is not to be worried about too much as you are sure the pesticides are not too abundant. Sweet Corn needs warm weather days, water and rich soil. This year the weather has been dicey but the downpour of a fortnight ago saved the crop from devastation. Yesterday at lunchtime, we ate some delicious black and honey coloured grilled cobs - the husks peeled back and the silk discarded, moistened with water before grilling for 7 minutes which helps keep them from burning over the hot rack. Served with butter and salt and a quarter of fresh lime. Preheat oven to 190°c. In a small baking dish, toss the tomatoes with the thyme and sage leaves and a tablespoon of olive oil. Put the dish in the oven and roast for 20 minutes. Remove and allow to cool. Scrape the corn kernels from the cob and toss together wit the remaining olive oil and tomatoes. Season to taste. Serve with grilled fish! 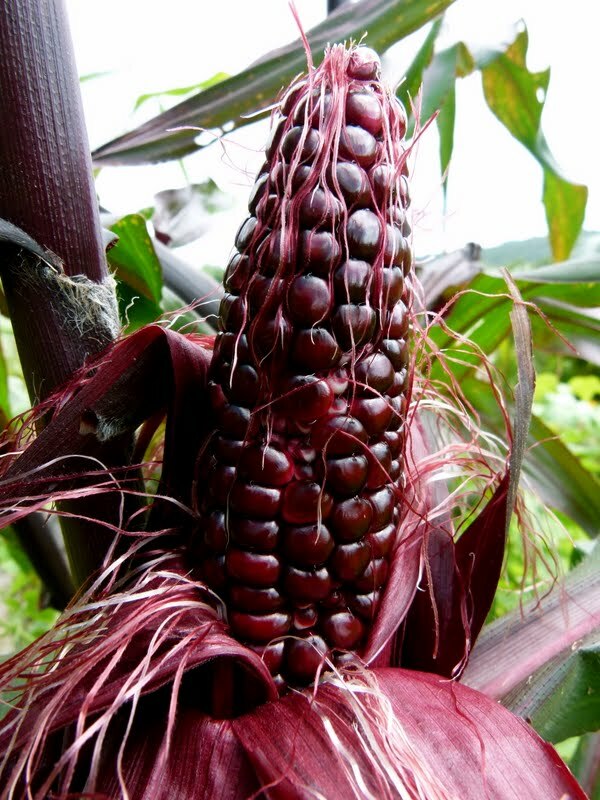 That purple corn looks amazing - I've never tried it. It never seems to ripen in time in Scotland.